I am trying 2 connect dvr with internet by using STC 007 modem. I dont know what 2 put in mapping port + port triggering. Did you use the port forwarding program to set it for you? You could use the program to do it for you. That router is in the program, why not just use it to do the port forwarding for you? What program. Please let me know more about it how 2 use it. Sorry I am lil confused . I dont have lorex DVR. I am usin IPtech so do i still be able to use this program?? for some reason when i check it the port on ur program or youcanseeme.com. It gives me error. Dont use youcanseeme, something has to be listening on the port to accept the connection or it will fail no matter what. 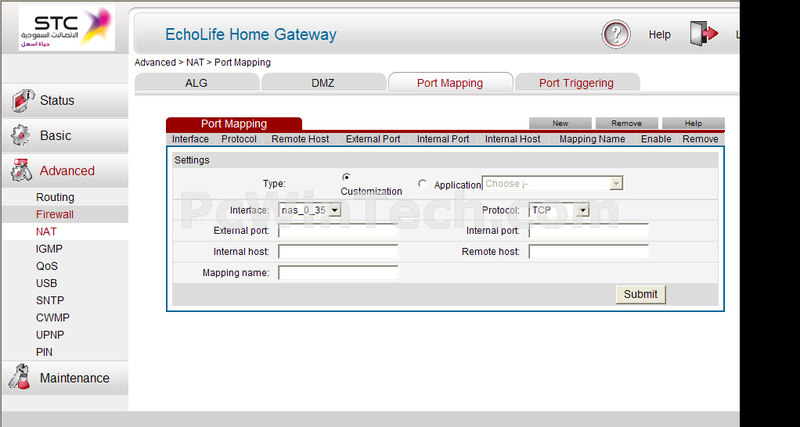 Post a screen shot of the port forwarding page in the router, and post a screen shot of the port tester program results. Also if this isnt for lorex let me know so I can move this thread to the correct sub forum. I am away from my store now I will post the screen shots 2moro. I did use the program port tester it fails too. On my DVR I put all zeros for Dns1 and dns 2 I am not sure about them. For the port I am using 08080 and I am not sure if it is the same as 8080 should I keep it like that or change to 8080.
yes it is not for lorex dvr. I forgot to also say the port tester is for testing on your computer not the DVR. So don't worry about the tester.